Salt and pepper to taste, don’t be shy! Remove chicken tenderloins from packaging and pat dry with paper towels. Using a sharp knife cut out the white tendon and then make a shallow slice through the thickest part of the fillet and “butterfly” or press flat to make the fillet roughly the same thickness throughout. 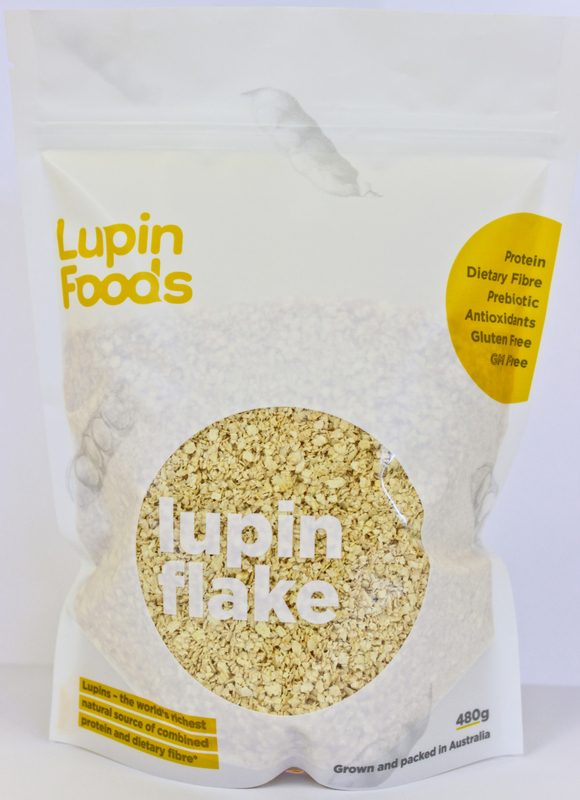 Combine Lupin Flake, lemon zest (set aside the juice), parsley, oregano, salt and pepper into a bowl and using your fingertips, rub gently to thoroughly combine. Place rice flour in a shallow bowl. Beat eggs in a separate shallow bowl. Set up a workstation with rice flour, eggs and Lupin Flake mix in a row on the bench. Dust chicken fillets in rice flour, dip in egg and then coat in the Lupin Flake mixture. 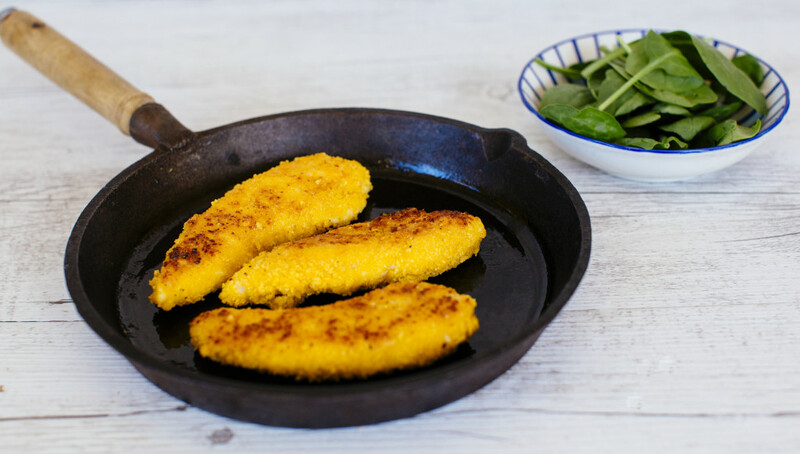 Place crumbed fillets on a plate or tray, cover with plastic wrap and rest for at least 30 minutes to allow crumb to set. Just before you are ready to serve, shallow fry the fillets in a little oil on medium to high heat. The crumb should be golden brown and the chicken should be cooked through. Adjust the temperature as necessary. The resting time is essential in this recipe. If you don’t rest the crumbed fillets the crumb will fall away. This dish can be prepared up to two days before and stored in an airtight container in the fridge. If you are preparing ahead leave the salt out of the crumb mix and salt when cooking. Salt can dry and toughen the meat if applied too long before cooking. The crumbed fillets can be stacked on top of each other without the crumb falling away. This mix can be used to crumb seafood, lamb, beef, veges, wherever your imagination takes you! For a different flavour profile remove the oregano and lemon zest and add the Ras el Hanout spice mix from the Lupin Pumpkin Dip recipe.